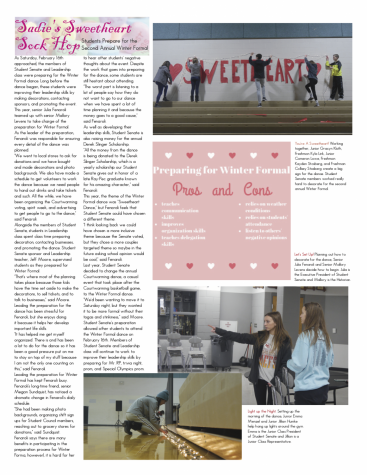 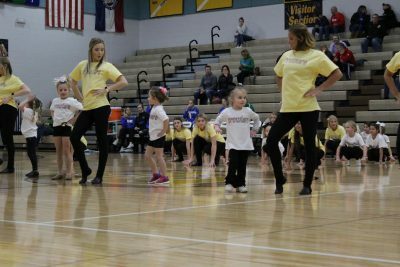 Mini prowlers began as a fundraising idea, but over time the event has grown and continued. 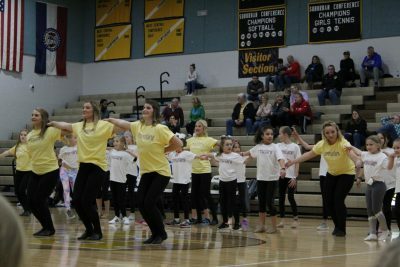 Younger dancers come, meet the team, and learn choreography that they perform at a basketball game. 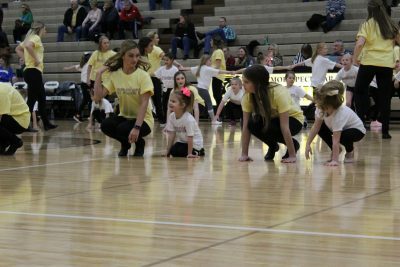 Coach Cheryl Gray began Mini Prowlers and has kept the tradition going to benefit both the team and the little girls who attend.Gray is happy with the turnout and benefits that this event has brought. “The best part is seeing how excited the little girls are to be around the prowlers,”said Gray. 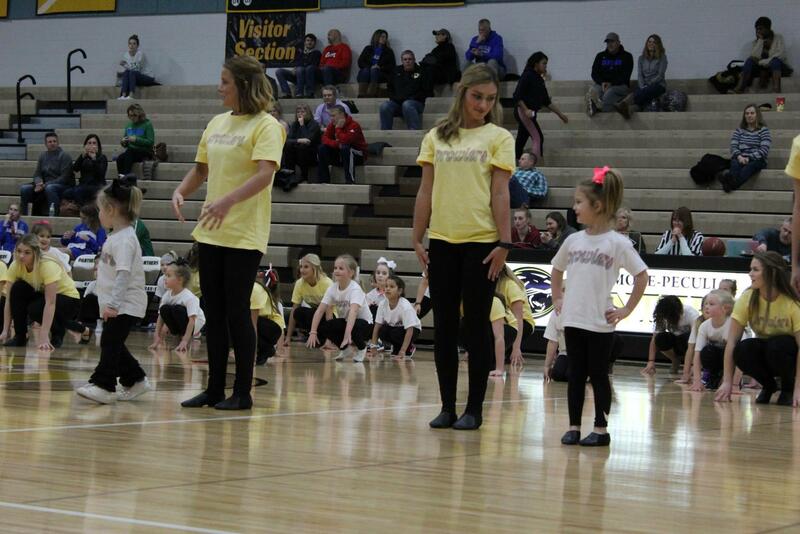 Having the older girls to look up to, the event can be a major event for the minis. 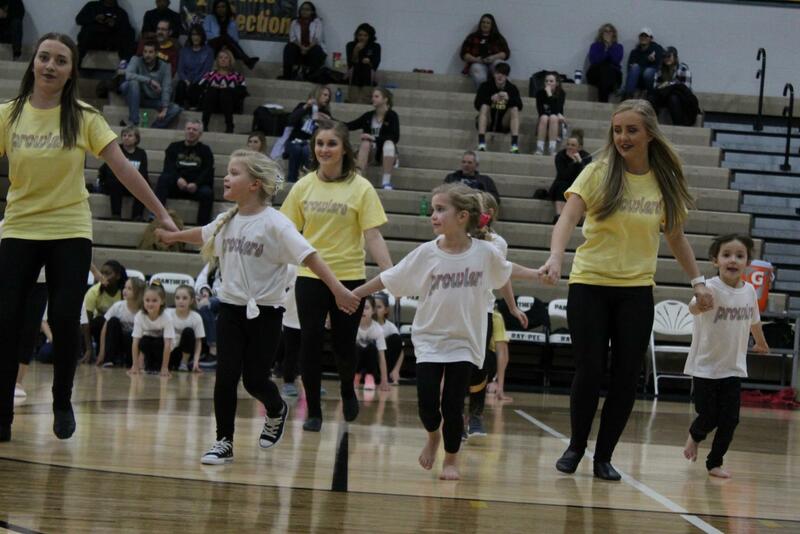 Dancing together can build a bond between both sets of girls. 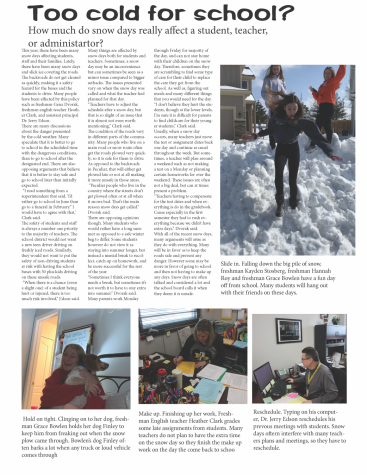 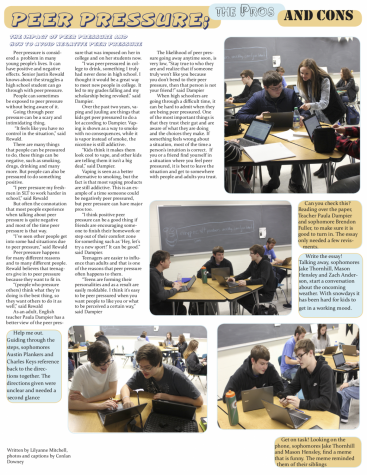 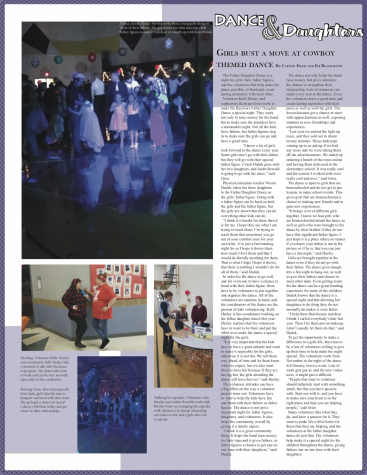 “We hope the kids have a memorable learning experience. 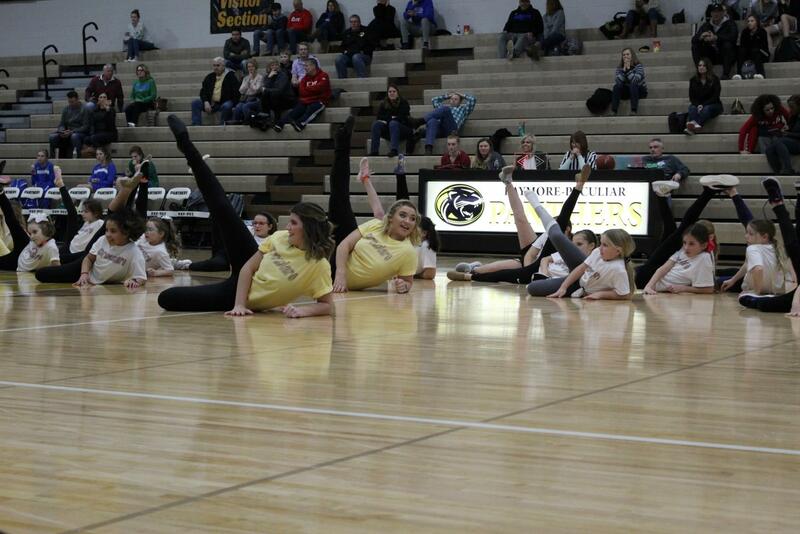 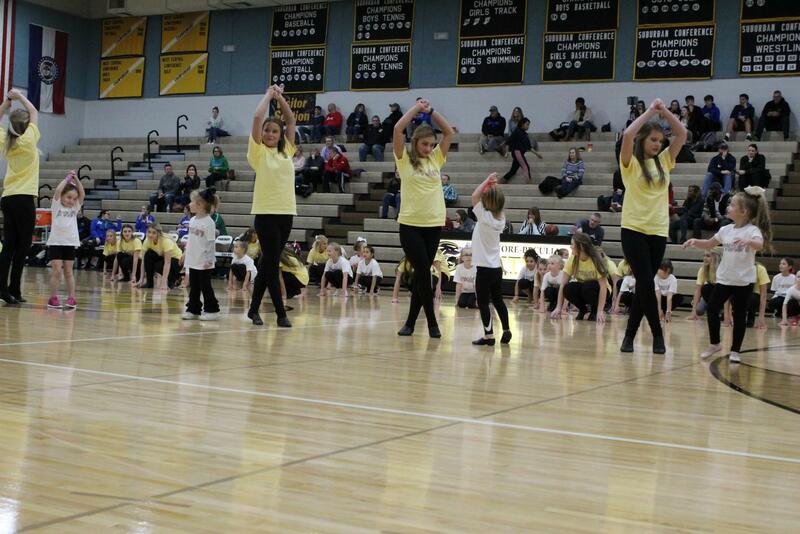 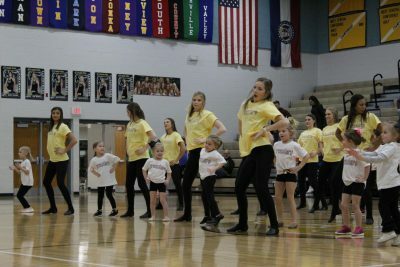 We hope they continue their love for dance and the Prowlers,” said Gray. Senior Hayden Foster has been a member of Prowlers and has been involved with mini prowlers for four years now. 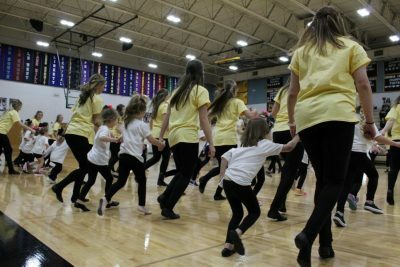 Rehearsing with the girls the day before the performance, two hours are spent learning choreography and getting to know one another. 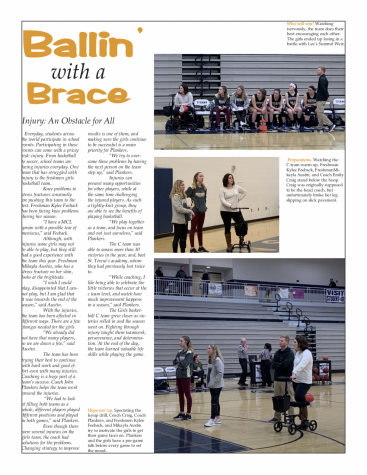 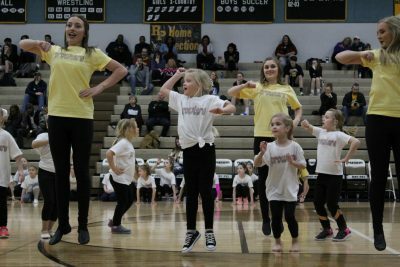 “I think they like “being a prowler” at a basketball game for the night and I hope that they learn how to do leaps and turns while having as much fun as possible,” said Foster. Brecklyn Findley was one of the mini prowlers who participated this year. 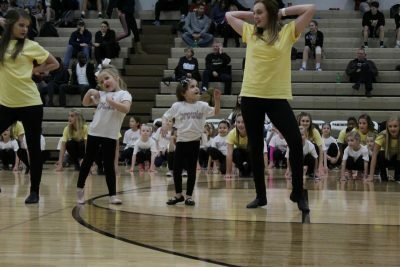 She is ten years old and has danced for eight years at Donna’s Schools of Performing Arts. 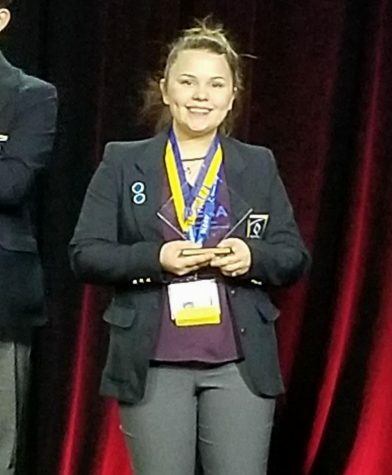 “I love that I got the chance to dance with the Prowlers because I want to be one in high school. I really look up to them and they made me feel like I was really apart of the team,” said Findley. 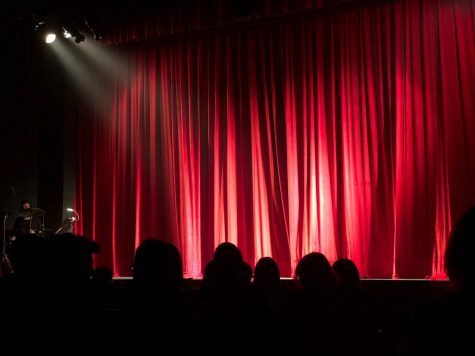 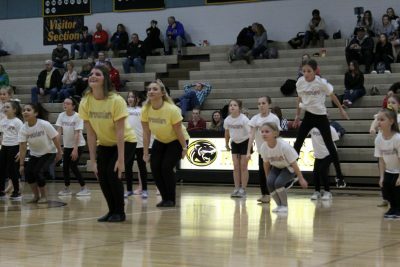 This night gives young girls an opportunity to experience what it feels like to be in the same performance environment as the high school Prowlers. 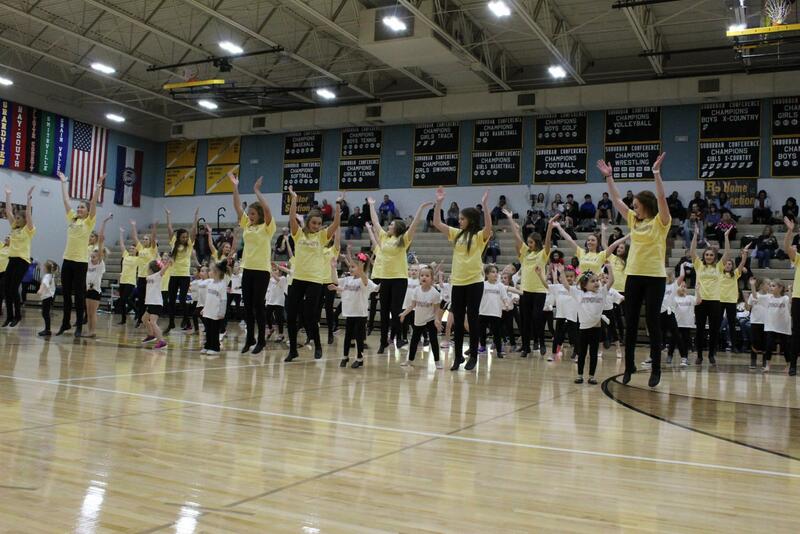 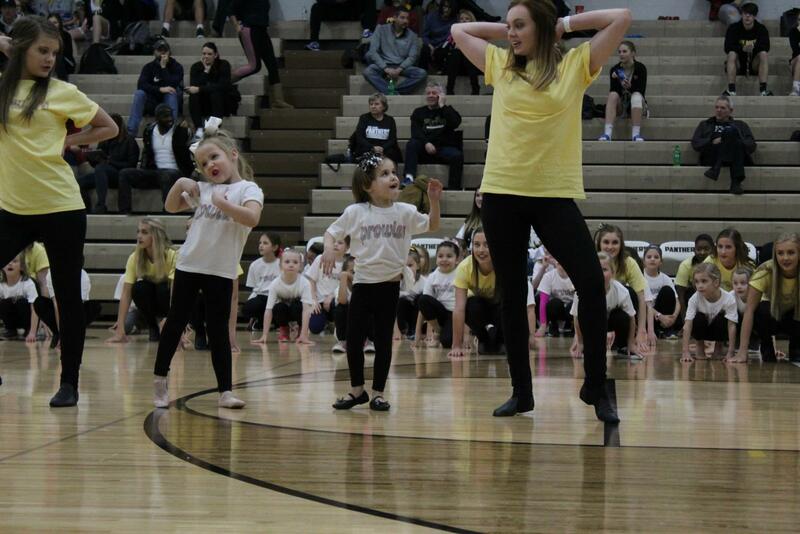 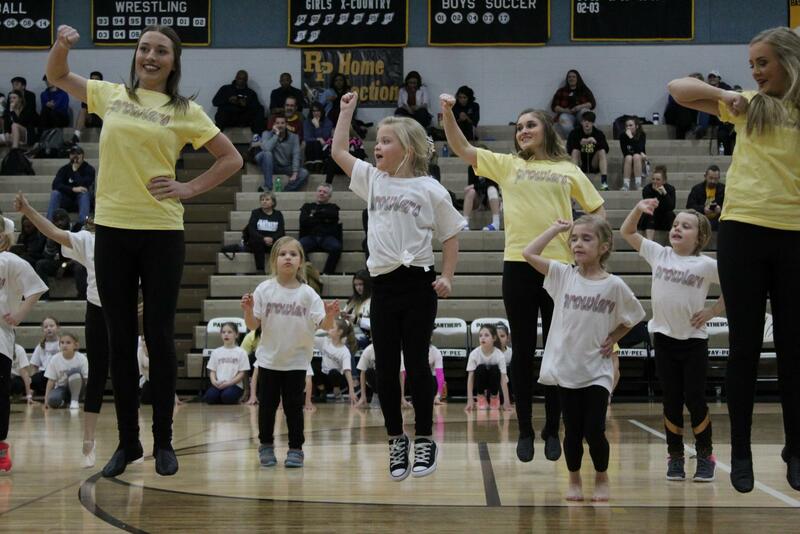 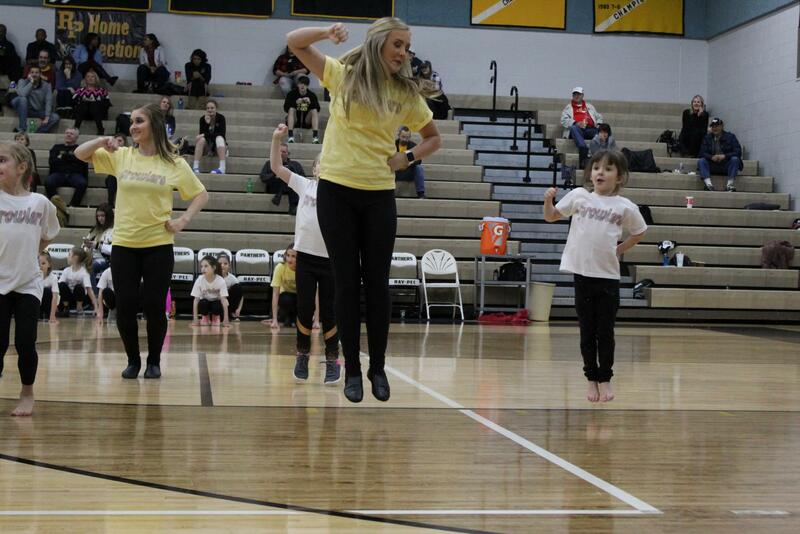 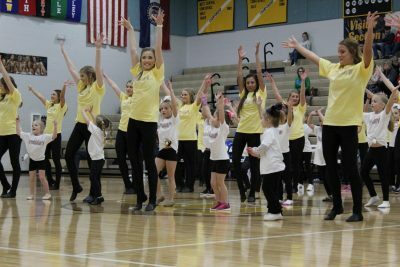 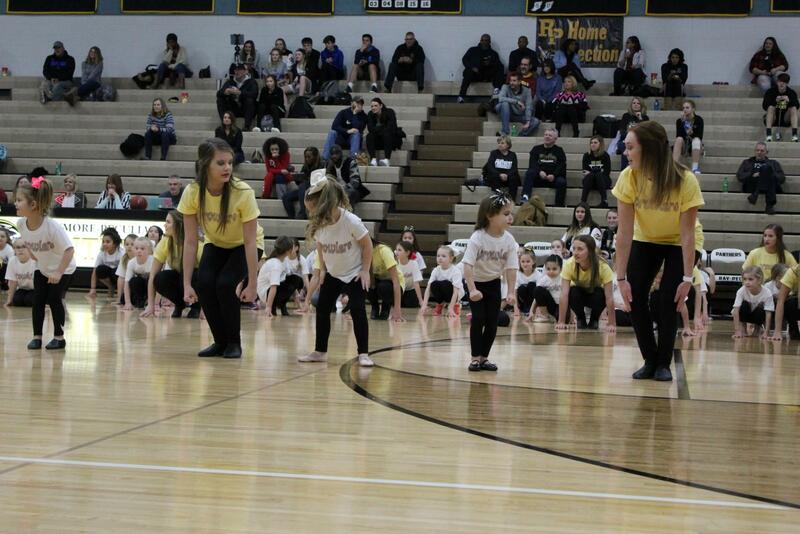 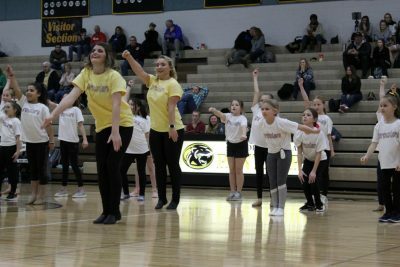 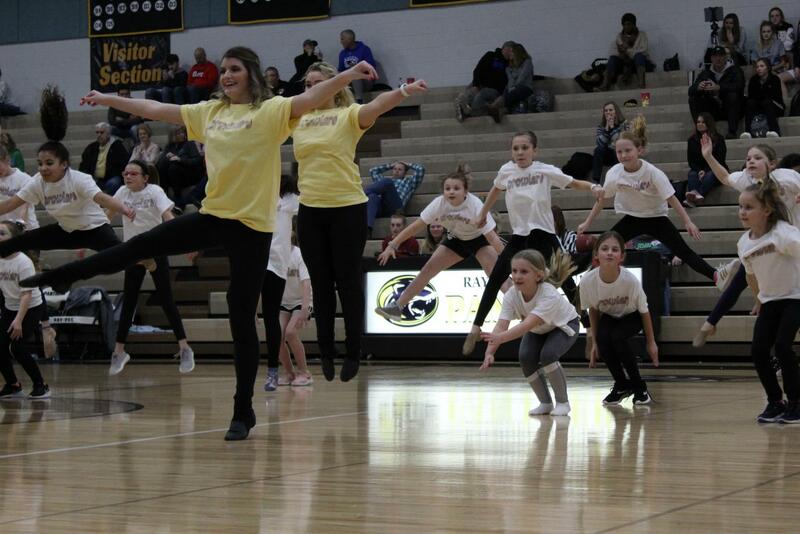 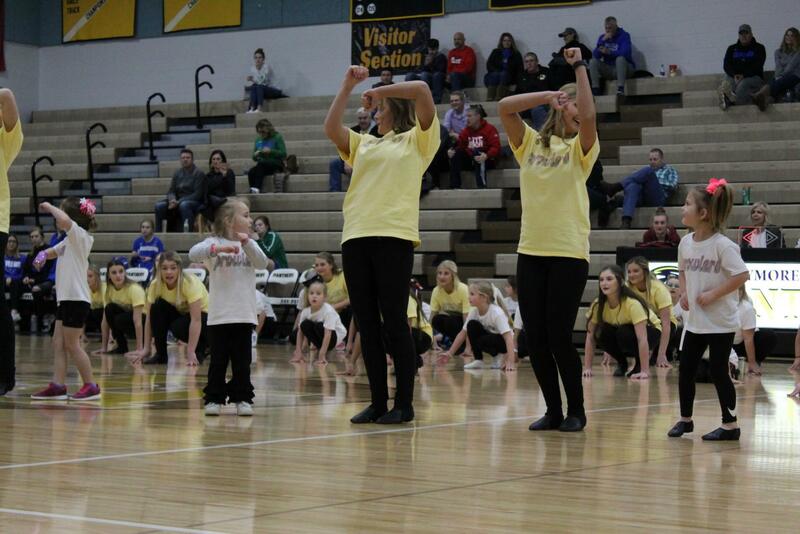 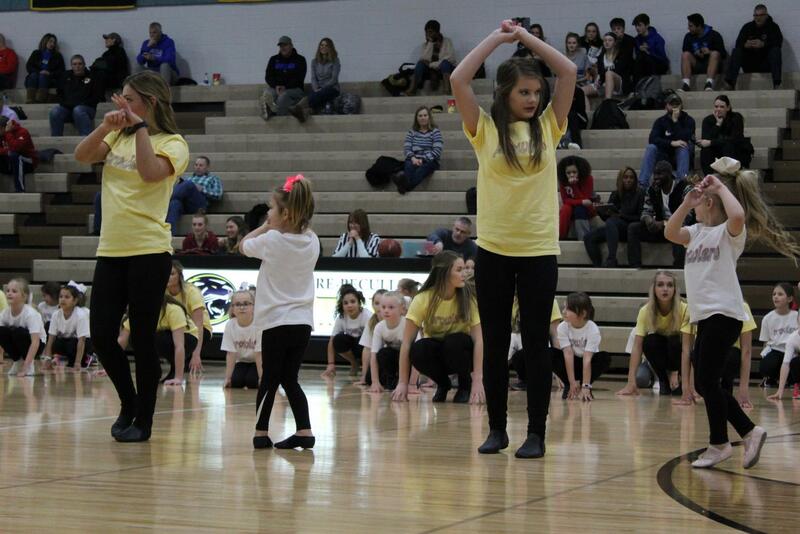 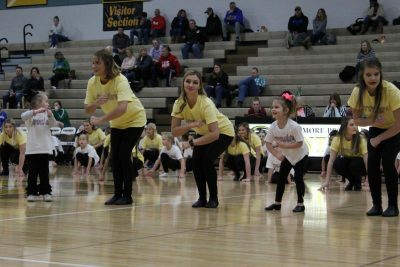 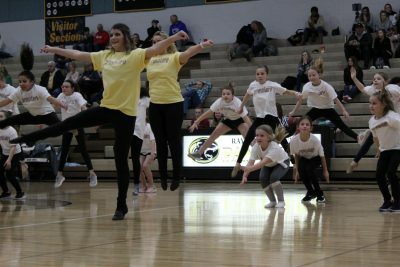 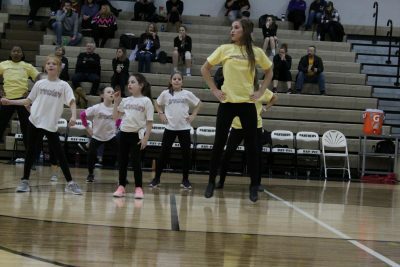 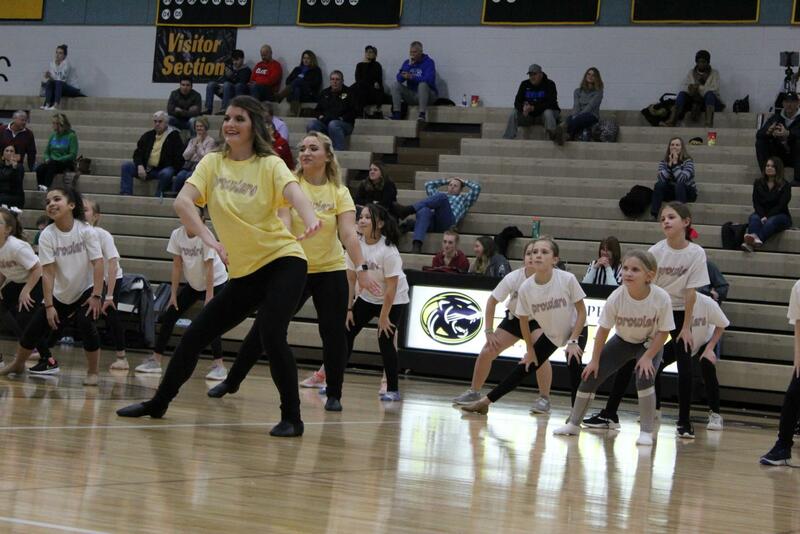 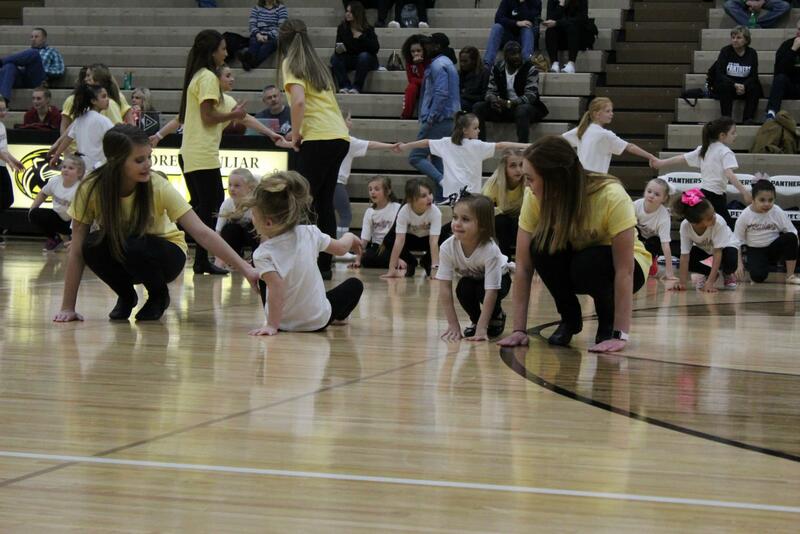 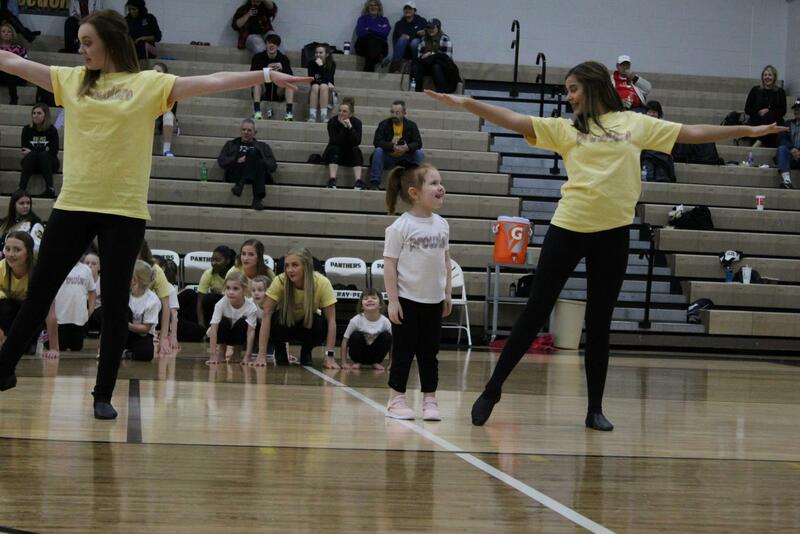 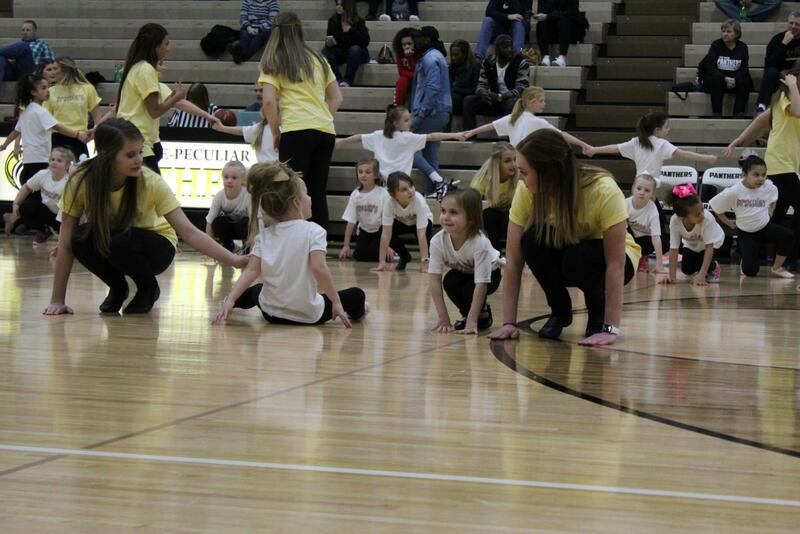 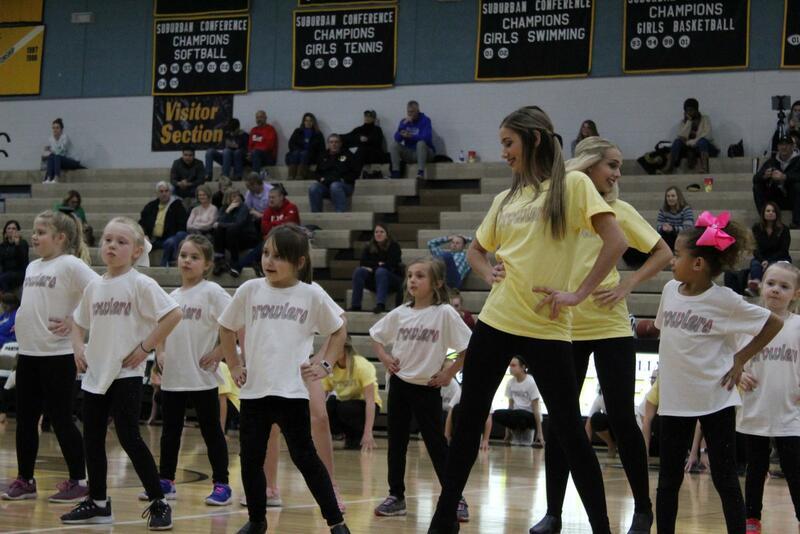 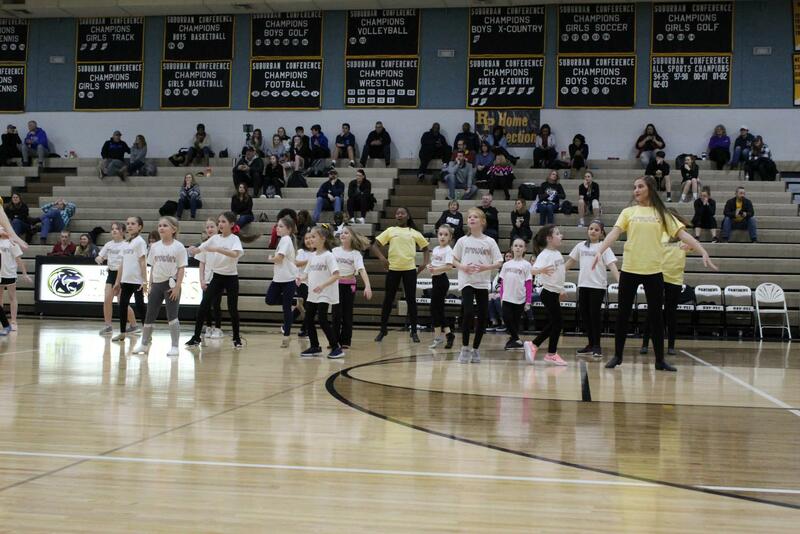 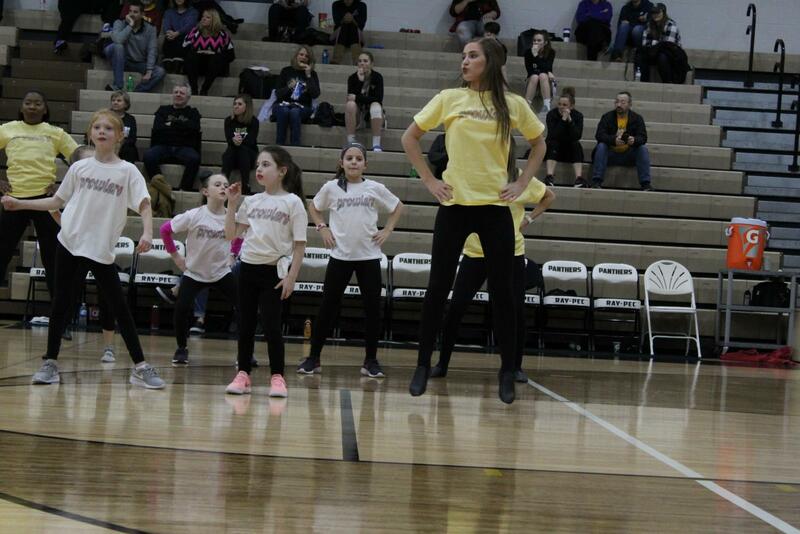 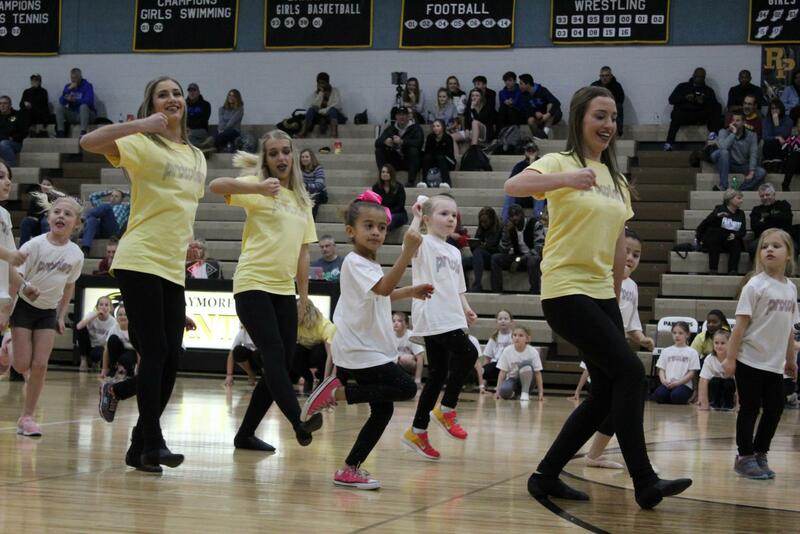 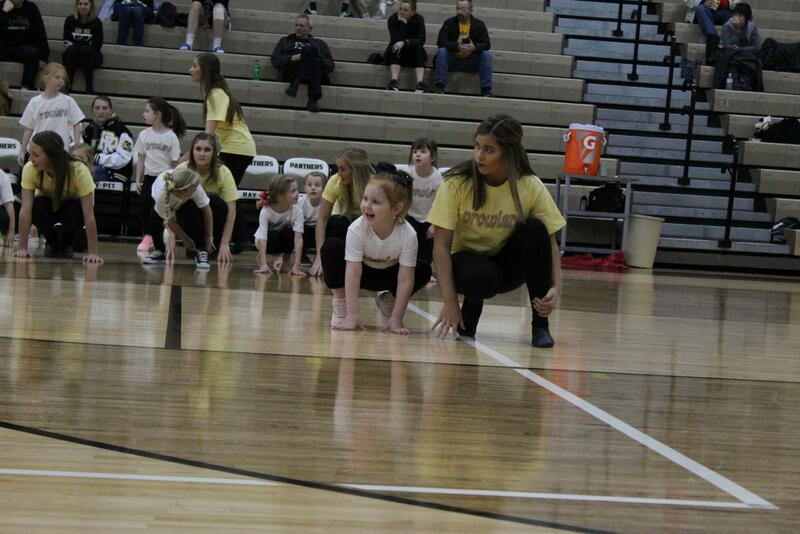 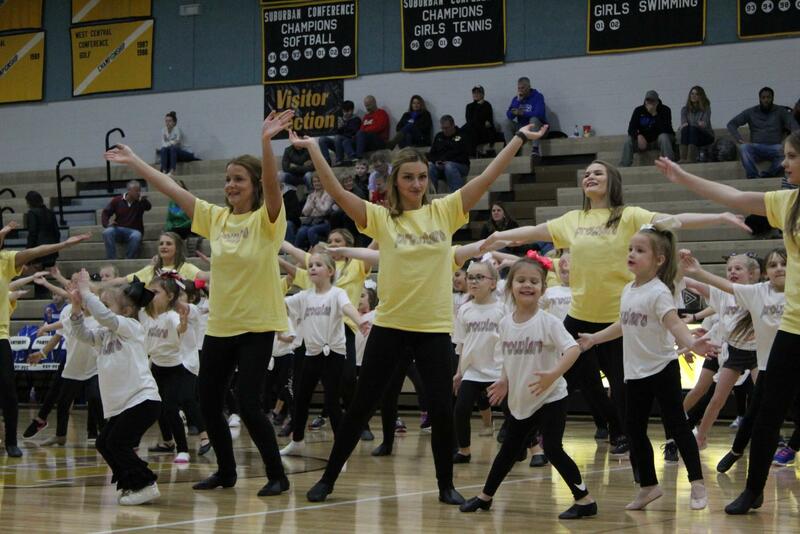 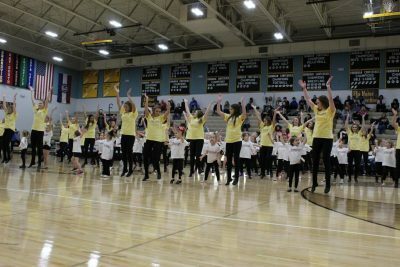 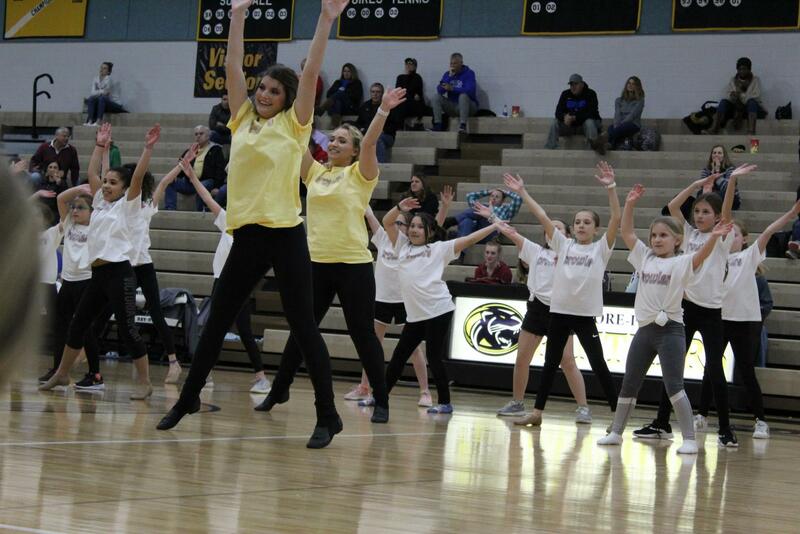 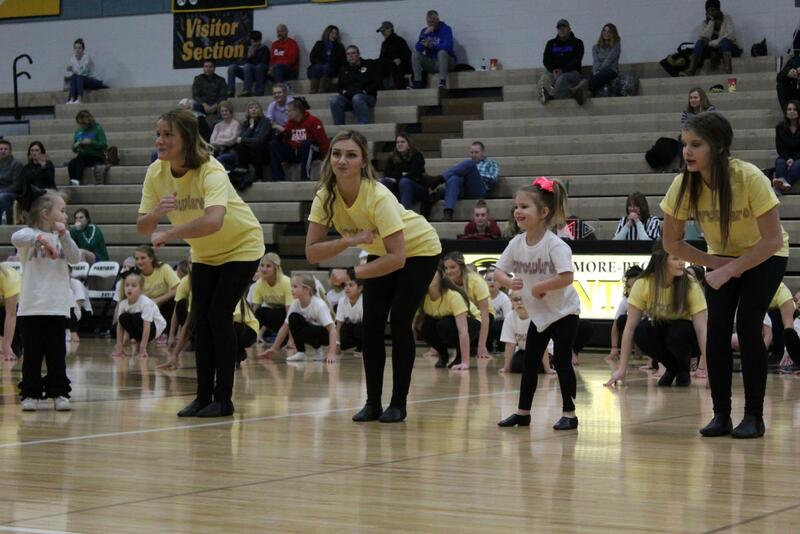 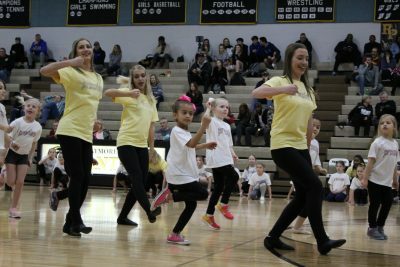 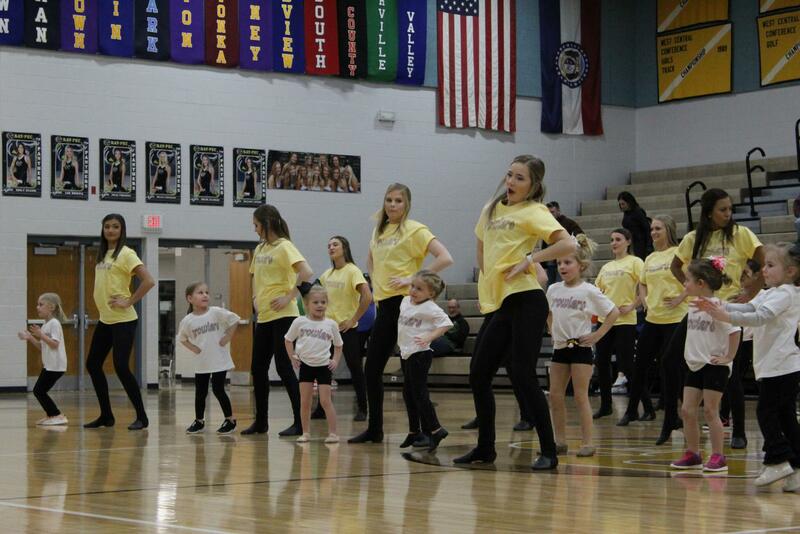 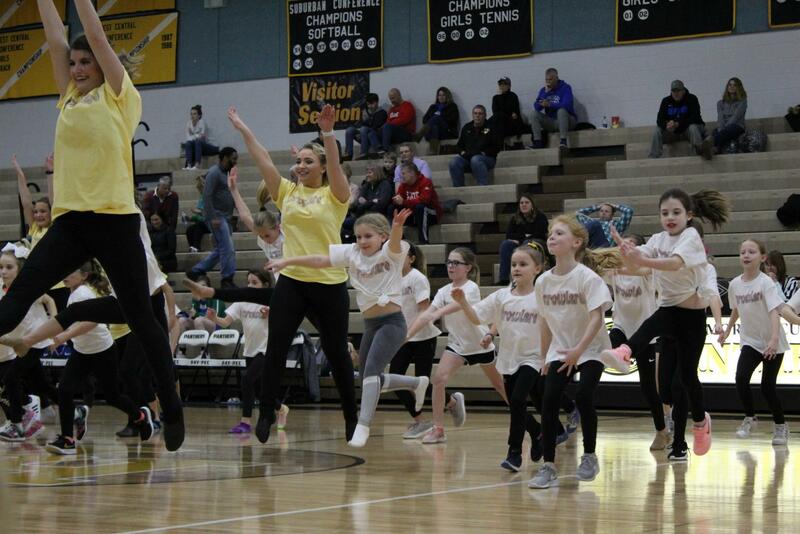 Fundraising for their team and bringing smiles to little girls faces, the Prowlers host a night that can spark inspiration and a love for dance in others.